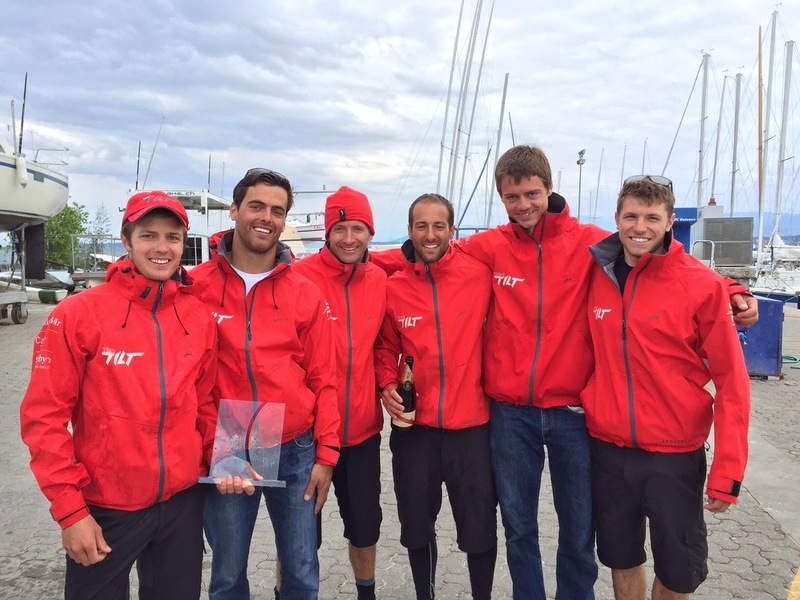 Image: Loris von Siebenthal - Team Tilt has won their second event on a row after winning the first GP of 2015. We don´t need all racing cats to foil, and the powerful D35s remain attractive. 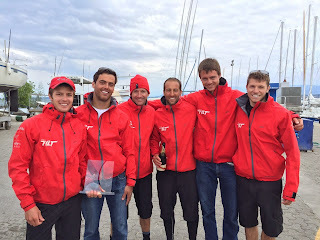 Versoix, 25 May 2015 – The Team Tilt squad confirmed their early form with another resounding win at the second meet of the Decision 35 class in Versoix yesterday, beating Realteam and Alinghi to the top step of the podium. With Sébastien Schneiter at the helm, the young crew gave no quarter, finishing the weekend with a comfortable eight-point lead. Schneiter is the youngest helmsman in the history of the class to win a Grand Prix.